This is Krakauer's gripping, first person account of the 1996 disaster on Mt Everest, where many climbers lost their lives, including two of the world's top guides. 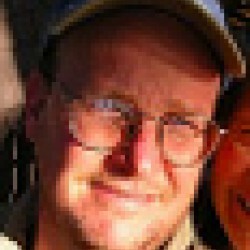 Krakauer lays some of the blame for the disaster at the feet of rich, guided clients who are ill-prepared to survive on the mountain without constant hand-holding by guides. 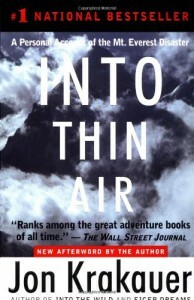 Ironically, his book probably increased the number of unqualified climbers on the mountain, and today -- more than a decade after the disaster -- Everest is more crowded than ever (and climbers keep dying).Once I started reading Into Thin Air, I couldn't stop until it was done. It's a gripping -- and surprisingly introspective -- mountain climbing classic.